Use to start wood burning fires fast and easy. Firestarter is formulated to stay where you put it, lights fast and burns hotter than other brands. A clean, easy method for kindling wood fires. 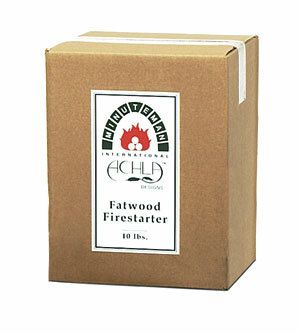 Use this Fatwood Caddy to hold your fatwood cleanly on your hearth.